The Genesis Cube is an automatic rotary ring style stretch wrapper designed to provide a rugged, flexible and high capacity automatic stretch wrapping solution. The Genesis Cube features a patented system for delivering power to the pre-stretch carriage without using sliding electrical contacts as well as a patented film delivery system that allows for variable pre-stretch and variable force to load control. This means that you can put exactly the right amount of film, at exactly the right position, with exactly the right level of containment force. This improves load containment while reducing film consumption by 25% to 50%. 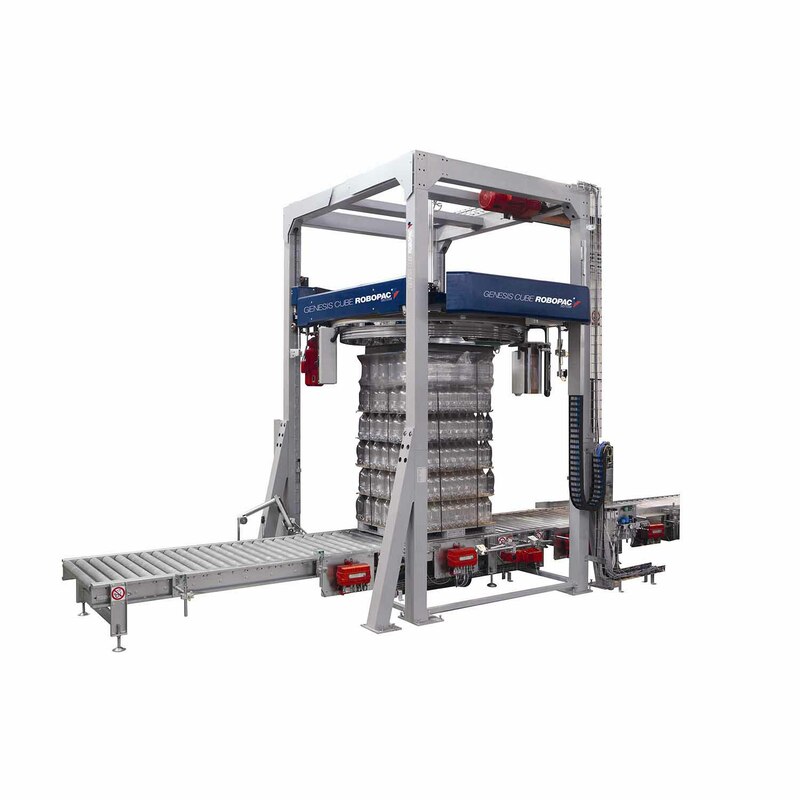 The Genesis Cube is a 72 RPM machine that is capable of reaching up to 125 pallet loads per hour. 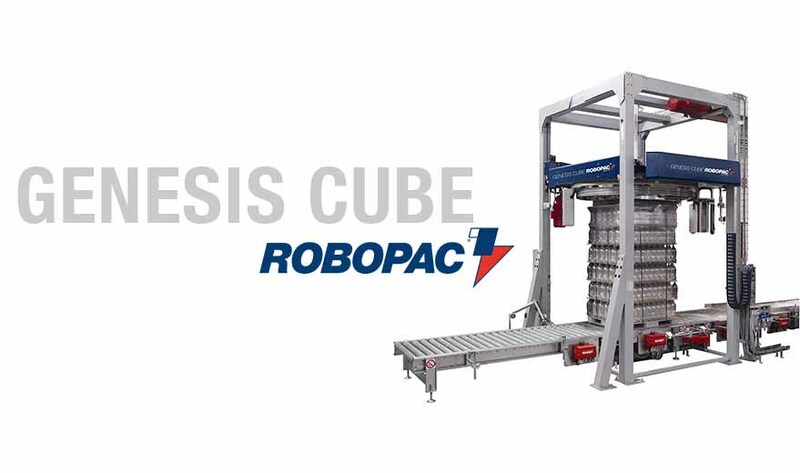 Robopac’s commitment to provide “Innovation Driven by Value” ensures the Genesis Cube offers the highest level of technology in this range of equipment. If you are looking to increase productivity and lower TCO, the Genesis Cube is the right stretch wrapping machine for you!